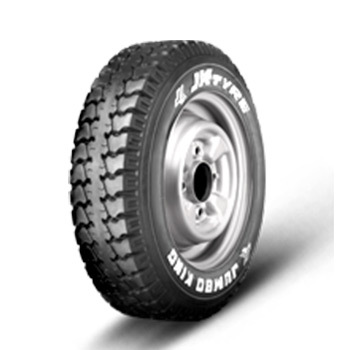 JK JUMBO KING is a requires tube radial car tyre. JUMBO KING is suitable for cars with tyre size 165 12. Its width is 165 mm, and it fits wheels with a rim size of 12 inches. It has a load index of 8PRSpeed rating of this tyre is "N/A" which means the maximum speed limit this tyre can support is N/A. It has 3 years standard warranty.